Since doing Visalus, I try to do healthier recipe. When I saw this recipe from Ricardo I had to try it. Tofu is not something I buy often. I can’t ask my boyfriend if he wants to eat a recipe with tofu, because as soon as he hears the word tofu, he has a bad reaction lolll He doesn’t want to try any recipes with tofu. I forgot to buy green onions so I omitted it but next time I’ll be sure to use it. I used frozen broccoli that I steamed. I divided the tofu in 4 bowls with the broccoli so 4 of my dinner were ready to reheat. For me it’s filling enough. Yesterday, I added on the side, steamed snowpeas with a little bit of teriyaki sauce on top. It was a great meal. I’ll have to try more recipes with tofu. Do you have something to recommend that is healthy and low calories? 1 . Sauce: In a bowl, combine all the ingredients. Set aside. 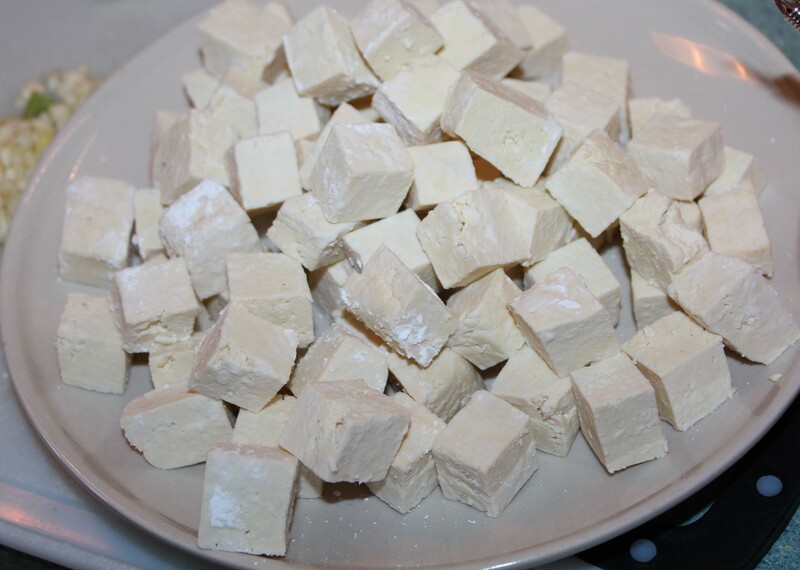 2 Stir-Fry: In a large bowl, dust the tofu with the cornstarch. Shake to remove any excess. Set aside on a plate. 3 . In a wok, heat the oil. 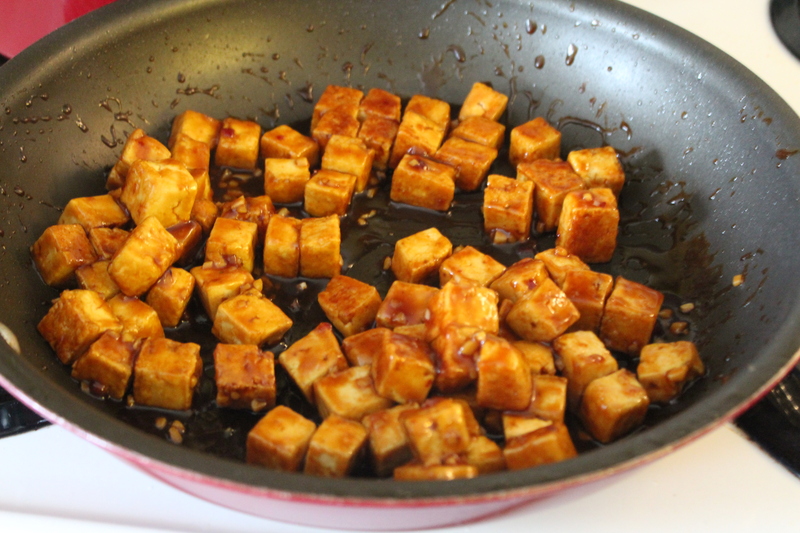 Fry the tofu, half at a time, until lightly browned. Season with salt and pepper. 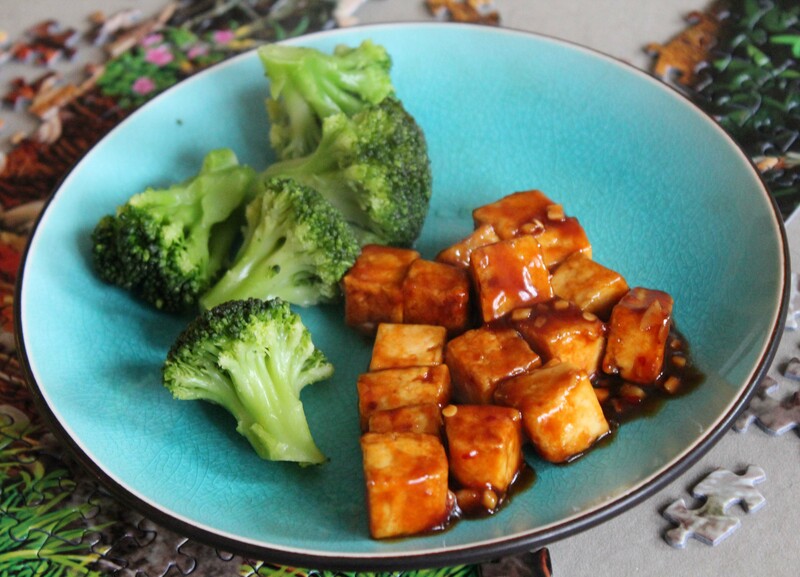 Remove the tofu from the wok with a slotted spoon and set aside on a plate lined with paper towels. 4 . In the wok, fry the onions, ginger, and garlic for 1 to 2 minutes. Add oil, if needed. Add the sauce and bring to a boil. Add the tofu and cook, stirring to warm through, and coat thoroughly with the sauce. Serve immediately over rice. Serve with broccoli.